Most store-bought apples are likely to have pesticide residue, even after you wash and peel them—higher, according to studies, than almost any other fruit or vegetable. 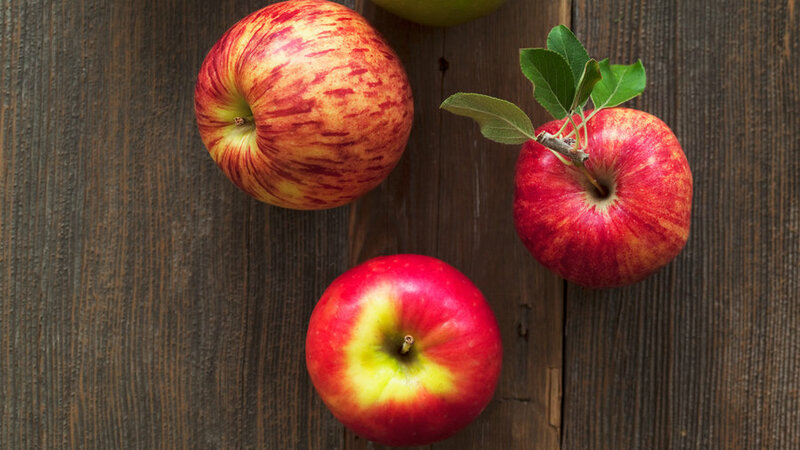 Here in the West, organic doesn’t have to mean ugly: The dry, sunny climate with cold winters in Western apple-growing areas keeps pests and diseases at bay, so our organic apples look as good as they taste. Check out our fall favorites, next. Aka Pink Lady, one of the best for baking whole: The skin keeps its color, and the flesh, with strawberry and lemon notes, holds together well. Firm and tart—its lemony acidity stands up well to rich piecrusts and crisps; also makes a good sorbet. 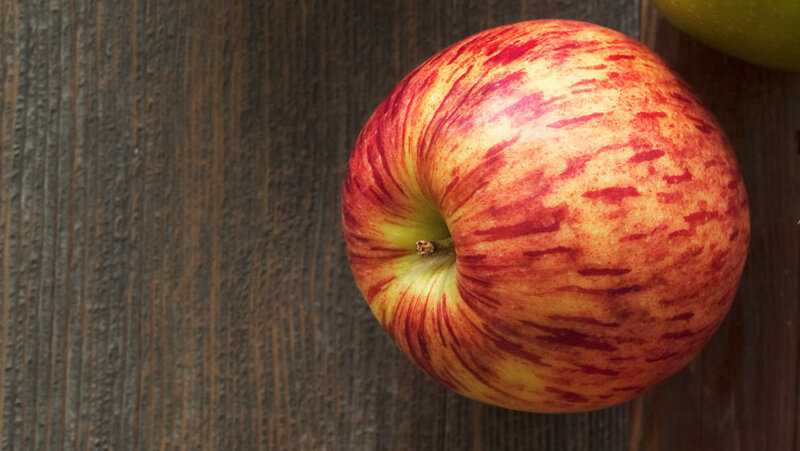 Crisp, mild, and juicy, the Gala doesn’t turn brown as fast as other apples when cut—so it’s great for salads. Not as good for baking. A cross between Jonathan and Golden Delicious; works well with Granny Smiths in pie, thanks to sweet melon and honey notes and firm, juicy flesh. Sweet, with rich flavors of pear and spice. Holds up well in cooking—good for apple cakes or savory dishes like pork stew.